How do you give? Is there a non-profit that you've been donating to for years? Or do you let the flood wash over you, acting when a heart string feels a tug? It turns out there's a better way: A small band of researchers, headed by refugees from the financial sector, scour the planet for organizations that have the maximum impact with the dollars they are given. This is the idea behind GiveWell, a charity-evaluating nonprofit started in 2006. Its mission is to identify organizations throughout the world that are doing good, and then subject them to careful scrutiny, including site visits. It posts the results, including extensive case files, on its website for free.Its motto: "Real change for your dollar." As we enter into the prime giving season, GiveWell provides a valuable service for the donor who has few preconceptions and just wants to make the world better. GiveWell [...] has completely changed the way I think about donating money. GiveWell [...] has completely changed the way I think about donating money. [...] Like many start-ups, GiveWell is disruptive. It wants to transform philanthropy from a field where decisions are often governed by emotion and, even, marketing to one whose work is measured, tested and constantly optimized to produce the most good. Philanthropy has made huge strides in the last couple of decades, with far more emphasis on cost-effective interventions that are scalable to bring about change. The Bill and Melinda Gates Foundation has helped lead the way, and Web sites like Givewell.org guide small-time donors. When bonus season came around, instead of deciding whether to buy a new suit, car, or a Caribbean vacation, hedge fund analysts Holden Karnofsky and Elie Hassenfeld, both then 25, agonized over which charities to donate to. They put so much time and effort into figuring it out that they eventually left their jobs… to start GiveWell, a nonprofit that evaluates charities with hedge-fund–level rigor. On average, Americans spend more time watching television in one day than they do researching charities in an entire year. Finding good charities takes time. It means using the few organizations, such as GiveWell, that do in-depth studies of charities' effectiveness. And it means remembering that the best organizations, charitable or otherwise, are built on more than a good story or a charismatic leader. GiveWell has filled a huge gap. When I speak about why we ought to be doing more to help the world's poorest people — something I do often — the most frequent question I get is: how can we know that our donation will really help the poor? Until GiveWell came along, it was difficult to give a convincing answer to that question. Previous charity-rating organizations just looked at how much of a charity's income went to program expenses, rather than administration - and it doesn't take much thought to realize that that figure tells you nothing about how effective the charity's programs are. GiveWell has filled a huge gap, and at the same time has started a major trend towards greater transparency and demonstrated cost-effectiveness in the charitable world. The detail in which GiveWell explains its reasoning and the thoroughness of its research into its top charities are unmatched. The detail in which GiveWell explains its reasoning and the thoroughness of its research into its top charities are unmatched, as far as we've seen. We've been impressed by the co-founders' dedication to their work, humility about what they know and what they don't, and ability to adapt the GiveWell model as they learn. While Good Ventures does not accept unsolicited requests for funding, we do consider all of GiveWell's recommended charities for substantial grants. Charity is a way to relieve guilt, a way to advertising one’s willingness and ability to make sacrifices, and a way to make other people better off. For those of us who want to maximize the last of these when we give, GiveWell is a godsend. That’s why I make it the primary beneficiary of my charitable donations. I can't think of a better resource for a careful donor. Having been an activist and donor in the social sector for a few years now, I have not run across a group of people doing more rigorous, demanding evaluations of non-profits than the GiveWell team. They bring a thoughtfulness and precision to each of the fields they study that is rare in the sector. I can't think of a better resource for a careful donor. A donor can feel confident that an organization recommended by GiveWell meets the highest standards of performance. By far the best charity evaluator working today. When was the last time that a charity or evaluator told you that due to successful fund-raising there are now more urgent needs elsewhere? Impressive. As I have for several years, I will be following GiveWell's advice and donating to the Against Malaria Foundation and several of GiveWell's other top charities. External evaluations: GiveWell has invited outsiders, often with relevant experience and credentials, to complete structured evaluations of our work. See all external evaluations to date along with information about the reviewers. Impact on donors: Donors have given millions of dollars to GiveWell's top-rated charities based on our recommendations. See our summary of key impact metrics as well as our collection of guest blog posts from donors who have used our research. New York Times columnist Nick Kristof features GiveWell in his annual holiday guide for presents with meaning, December 1, 2018. Vox features GiveWell’s research in its list of charities that do the most good, December 25, 2018 (archived). The Economist features GiveWell in an article about effective altruism, June 2, 2018. Mr. Money Mustache includes GiveWell in his article on tips for giving to charities, December 4, 2017 (archived). The New York Times describes GiveWell as a resource for “The Spreadsheet Method of Giving” (calculating altruistic return on investment) in a guide for planning personal giving, November 28, 2017. NPR features GiveWell in an article on "how to get the most bang for your charity buck" on Giving Tuesday, November 27, 2017 (archived). In a video from NowThis Politics, GiveWell GiveWell Executive Director Elie Hassenfeld shares his advice for giving effectively, November 28, 2017. Fast Company features GiveWell's Incubation Grants program, March 16, 2017 (archived). NPR's Morning Edition features GiveWell on Giving Tuesday, November 29, 2016 (archived). Esquire features GiveWell in an article about how to give effectively, April 28, 2016 (archived). The Wall Street Journal cites GiveWell's research in an article about choosing where to donate, December 4, 2015 (archived). Vox features GiveWell's research in an article about which charities do the most good, December 1, 2015 (archived). Marketplace interviews GiveWell’s Catherine Hollander for a piece about making altruism more effective, December 1, 2015 (archived). The Atlantic discusses GiveWell's research in the context of a reporter’s search for the best charitable cause in the world, June 15, 2015 (archived). The Economist features GiveWell in an article about impact-driven philanthropy, May 23, 2015 (archived). Tim Harford features GiveWell's research as an alternative to a social media fundraising campaign on More or Less on BBC Radio 4, September 7, 2014 (archive of summary). The New York Times column "Your Money" features GiveWell in an article on the challenges of giving effectively, April 25, 2014 (archived). 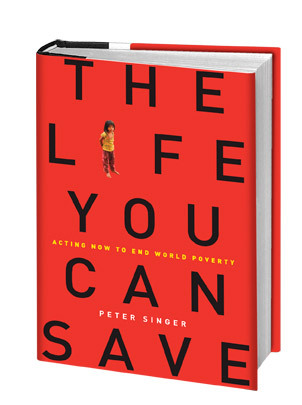 In a New York Times op-ed, Peter Singer cites GiveWell for its "serious evaluation of charities helping people in extreme poverty," August 11, 2013 (archived). Bay Area NPR station KQED features GiveWell's Alexander Berger on a segment about how to decide where to give your charitable dollars, June 19, 2013 (archived). The Washington Post's Wonkblog features GiveWell as a resource for donors in an article about earning to give, May 31, 2013 (archived). The New York Times column "Fixes" features GiveWell in an article on giving effectively, December 5, 2012 (archived). The New York Times features GiveWell in an article on measuring the impact of giving, September 28, 2012 (archived). New York Times columnist Nick Kristof recommends GiveWell's top charity and cites GiveWell's research, December 3, 2011 (archived). The New York Times cites GiveWell in an article about donating in the aftermath of the Japan earthquake and tsunami, March 16, 2011 (archived). USA Today points to GiveWell as a donor resource, November 30, 2010 (archived). CNN interviews GiveWell co-founder Holden Karnofsky in segment on effective giving, January 25, 2010. CNN Radio interviews GiveWell co-founder Elie Hassenfeld about using overhead to evaluate charities, January 20, 2010. A Wall Street Journal article on resources for evaluating charities recommends GiveWell, November 8, 2009 (archived). Half the Sky, a book by New York Times columnist Nicholas Kristof points to GiveWell as a donor resource, September 8, 2009. NPR interviews GiveWell co-founder Holden Karnofsky on the importance of researching your donations, December 10, 2008. NPR interviews GiveWell's founders, December 24, 2007. The New York Times (front section) features GiveWell and its founders, December 20, 2007 (archived). Wall Street Journal article (Personal Journal section) highlights GiveWell among its resources for donors, December 20, 2007. CNBC interviews GiveWell's founders, December 20, 2007. (Video inactive when this page was last updated, but may be active again later).